Home » News » SCOUT SERVICE & RELATIONSHIP FORTNIGHT OFFICIALLY LAUNCHED! SCOUT SERVICE & RELATIONSHIP FORTNIGHT OFFICIALLY LAUNCHED! The Scout Service and Relationship fortnight (a.k.a. “Job Week”) for the year 2014 was officially launched at the Temple Trees on the 3rd of June 2014. It is planned to be held from the 6th to the 22nd of June 2014. The Eagle Patrol of the 16th Colombo Scout Troop, who emerged as the “Highest Collecting Patrol” of the Job Week in 2013, initiated the Job Week by rendering their service at the Temple Trees. This event was organised by the Sri Lanka Scout Association and His Excellency the President officially initiated the programme by presenting a “Job Card” to the members of the Eagle Patrol. 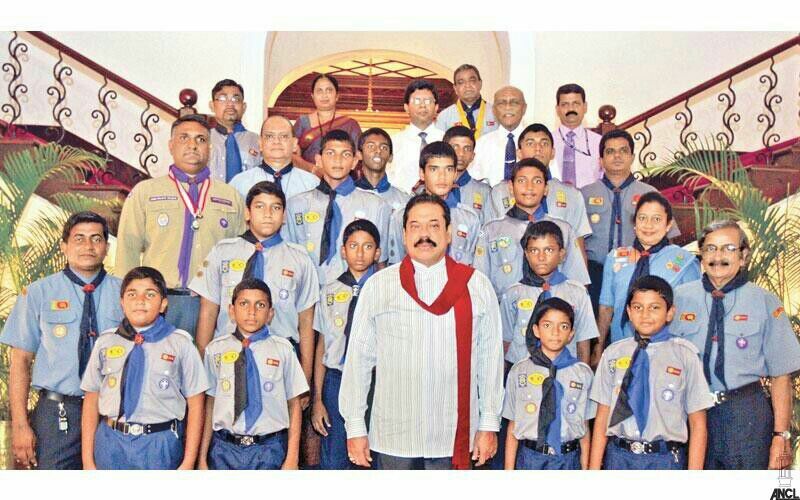 The 16th Colombo Scout Group emerged as “The Highest Collectors in the Island” in the Job Week in 2013.